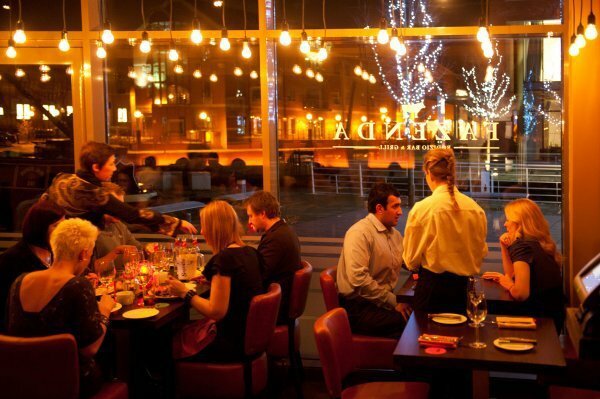 The Fazenda steak house sits by the water in the newly renovated Granary wharf area, only a few minutes walk from the train station. The surroundings are fairly drab when compared with the character of many of Leeds' older buildings, but inside I was pleasantly surprised. The interior is relaxed but classy and while those on a tight budget won't necessarily be attracted to the realistic spend of £20, they might be attracted to the promise/challenge of "all you can eat" Brazilian cuisine. The food is what really drew me to Fazenda; customers are invited to stay for over 5 hours for dinner, eating as much as they dare! 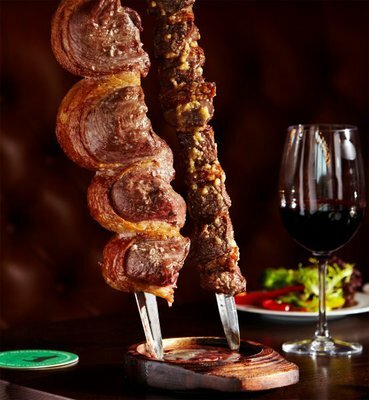 The food is centred around Brazilian red meat cuisine, and up to fifteen different cuts are carved in front of you by 'Gaucho' chefs. By showing the green side of your circular card, you indicate to the chefs that you would like more food, and by returning it to the red side, you indicate that you need a time-out! The system was a bit odd, but certainly a novel experience and aided by the friendly service and the quality of food served. The restaurant also features a large self-service buffet with a healthy variety of vegetables, salads, and other interesting side-dishes. Vegetarians are fairly well catered for, but might feel that they miss out on the "Fazenda experience"; this is undoubtedly a restaurant aimed at those who enjoy high quality meat. As a student (but nevertheless someone with a passion for good food), I live on a limited budget, and choose carefully when I decide to eat out. Aside from the great food the dining experience at Fazenda was different to most other restaurants, which made it an exciting weekend outing for me and my close friends.